1 A None No Power Seat 1 A is a Business Class Bulkhead seat that may have restricted legroom. The close proximity to the galley may be bothersome. In Business Class the middle seat is left unoccupied to allow more room for the Business Class passengers. The tray table is in the armrest, making the armrests immovable and slightly reducing seat width. There may be no floor storage during take-off and landing. 1 C None No Power Seat 1 C is a Business Class Bulkhead seat that may have restricted legroom. The close proximity to the galley may be bothersome. In Business Class the middle seat is left unoccupied to allow more room for the Business Class passengers. The tray table is in the armrest, making the armrests immovable and slightly reducing seat width. There may be no floor storage during take-off and landing. 1 D None No Power Seat 1 D is a Business Class Bulkhead seat that may have restricted legroom. The close proximity to the galley may be bothersome. In Business Class the middle seat is left unoccupied to allow more room for the Business Class passengers. The tray table is in the armrest, making the armrests immovable and slightly reducing seat width. There may be no floor storage during take-off and landing. 1 F None No Power Seat 1 F is a Business Class Bulkhead seat that may have restricted legroom. The close proximity to the galley may be bothersome. In Business Class the middle seat is left unoccupied to allow more room for the Business Class passengers. The tray table is in the armrest, making the armrests immovable and slightly reducing seat width. There may be no floor storage during take-off and landing. 10 A None No Power Seat 10 A is a standard Business Class seat. The middle seats in Business are left unoccupied to allow for more space for Business Class passengers. 10 C None No Power Seat 10 C is a standard Business Class seat. The middle seats in Business are left unoccupied to allow for more space for Business Class passengers. 10 D None No Power Seat 10 D is a standard Business Class seat. The middle seats in Business are left unoccupied to allow for more space for Business Class passengers. 10 F None No Power Seat 10 F is a standard Business Class seat. The middle seats in Business are left unoccupied to allow for more space for Business Class passengers. 11 A None No Power Seat 11 A is a standard Business Class seat. The middle seats in Business are left unoccupied to allow for more space for Business Class passengers. 11 C None No Power Seat 11 C is a standard Business Class seat. The middle seats in Business are left unoccupied to allow for more space for Business Class passengers. 11 D None No Power Seat 11 D is a standard Business Class seat. The middle seats in Business are left unoccupied to allow for more space for Business Class passengers. 11 F None No Power Seat 11 F is a standard Business Class seat. The middle seats in Business are left unoccupied to allow for more space for Business Class passengers. 12 A None No Power Seat 12 A is a standard Business Class seat. The middle seats in Business are left unoccupied to allow for more space for Business Class passengers. 12 C None No Power Seat 12 C is a standard Business Class seat. The middle seats in Business are left unoccupied to allow for more space for Business Class passengers. 12 D None No Power Seat 12 D is a standard Business Class seat. The middle seats in Business are left unoccupied to allow for more space for Business Class passengers. 12 F None No Power Seat 12 F is a standard Business Class seat. The middle seats in Business are left unoccupied to allow for more space for Business Class passengers. 14 A None No Power Seat 14 A is a standard Business Class seat. The middle seats in Business are left unoccupied to allow for more space for Business Class passengers. 14 C None No Power Seat 14 C is a standard Business Class seat. The middle seats in Business are left unoccupied to allow for more space for Business Class passengers. 14 D None No Power Seat 14 D is a standard Business Class seat. The middle seats in Business are left unoccupied to allow for more space for Business Class passengers. 14 F None No Power Seat 14 F is a standard Business Class seat. The middle seats in Business are left unoccupied to allow for more space for Business Class passengers. 15 A None No Power Seat 15 A is a standard Economy Class Bulkhead seat. The tray table is in the armrest, making the armrest immovable and slightly reducing seat width. There may be no floor storage during take-off and landing. 15 B None No Power Seat 15 B is a standard Economy Class Bulkhead seat. The tray table is in the armrest, making the armrest immovable and slightly reducing seat width. There may be no floor storage during take-off and landing. 15 C None No Power Seat 15 C is a standard Economy Class Bulkhead seat. The tray table is in the armrest, making the armrest immovable and slightly reducing seat width. There may be no floor storage during take-off and landing. 15 D None No Power Seat 15 D is a standard Economy Class Bulkhead seat. The tray table is in the armrest, making the armrest immovable and slightly reducing seat width. There may be no floor storage during take-off and landing. 15 E None No Power Seat 15 E is a standard Economy Class Bulkhead seat. The tray table is in the armrest, making the armrest immovable and slightly reducing seat width. There may be no floor storage during take-off and landing. 15 F None No Power Seat 15 F is a standard Economy Class Bulkhead seat. The tray table is in the armrest, making the armrest immovable and slightly reducing seat width. There may be no floor storage during take-off and landing. 2 A None No Power Seat 2 A is a standard Business Class seat. The middle seats in Business are left unoccupied to allow for more space for Business Class passengers. 2 C None No Power Seat 2 C is a standard Business Class seat. The middle seats in Business are left unoccupied to allow for more space for Business Class passengers. 2 D None No Power Seat 2 D is a standard Business Class seat. The middle seats in Business are left unoccupied to allow for more space for Business Class passengers. 2 F None No Power Seat 2 F is a standard Business Class seat. The middle seats in Business are left unoccupied to allow for more space for Business Class passengers. 22 B None No Power Seat 22 B is an Economy Class seat that may have limited recline due to the Exit Row behind. 22 C None No Power Seat 22 C is an Economy Class seat that may have limited recline due to the Exit Row behind. 22 D None No Power Seat 22 D is an Economy Class seat that may have limited recline due to the Exit Row behind. 22 E None No Power Seat 22 E is an Economy Class seat that may have limited recline due to the Exit Row behind. 23 A None No Power Seat 23 A is an Economy Class Exit Row seat that is missing a window, but may have extra legroom. The tray table is in the armrest, making the armrest immovable and slightly reducing seat width. There may be no floor storage during take-off and landing. 23 B None No Power Seat 23 B is an Economy Class Exit Row seat that may have extra legroom. The tray table is in the armrest, making the armrest immovable and slightly reducing seat width. There may be no floor storage during take-off and landing. 23 C None No Power Seat 23 C is an Economy Class Exit Row seat that may have extra legroom. The tray table is in the armrest, making the armrest immovable and slightly reducing seat width. There may be no floor storage during take-off and landing. 23 D None No Power Seat 23 D is an Economy Class Exit Row seat that may have extra legroom. The tray table is in the armrest, making the armrest immovable and slightly reducing seat width. There may be no floor storage during take-off and landing. 23 E None No Power Seat 23 E is an Economy Class Exit Row seat that may have extra legroom. The tray table is in the armrest, making the armrest immovable and slightly reducing seat width. There may be no floor storage during take-off and landing. 23 F None No Power Seat 23 F is an Economy Class Exit Row seat that is missing a window, but may have extra legroom. The tray table is in the armrest, making the armrest immovable and slightly reducing seat width. There may be no floor storage during take-off and landing. 3 A None No Power Seat 3 A is a standard Business Class seat. The middle seats in Business are left unoccupied to allow for more space for Business Class passengers. 3 C None No Power Seat 3 C is a standard Business Class seat. The middle seats in Business are left unoccupied to allow for more space for Business Class passengers. 3 D None No Power Seat 3 D is a standard Business Class seat. The middle seats in Business are left unoccupied to allow for more space for Business Class passengers. 3 F None No Power Seat 3 F is a standard Business Class seat. The middle seats in Business are left unoccupied to allow for more space for Business Class passengers. 35 A None No Power Seat 35 A is an Economy Class seat in the last row of the plane that may have limited recline. The close proximity to the lavatories and galley may be bothersome. 35 B None No Power Seat 35 B is an Economy Class seat in the last row of the plane that may have limited recline. The close proximity to the lavatories and galley may be bothersome. 35 C None No Power Seat 35 C is an Economy Class seat in the last row of the plane that may have limited recline. The close proximity to the lavatories and galley may be bothersome. 35 D None No Power Seat 35 D is an Economy Class seat in the last row of the plane that may have limited recline. The close proximity to the lavatories and galley may be bothersome. 35 E None No Power Seat 35 E is an Economy Class seat in the last row of the plane that may have limited recline. The close proximity to the lavatories and galley may be bothersome. 35 F None No Power Seat 35 F is an Economy Class seat in the last row of the plane that may have limited recline. The close proximity to the lavatories and galley may be bothersome. 4 A None No Power Seat 4 A is a standard Business Class seat. The middle seats in Business are left unoccupied to allow for more space for Business Class passengers. 4 C None No Power Seat 4 C is a standard Business Class seat. The middle seats in Business are left unoccupied to allow for more space for Business Class passengers. 4 D None No Power Seat 4 D is a standard Business Class seat. The middle seats in Business are left unoccupied to allow for more space for Business Class passengers. 4 F None No Power Seat 4 F is a standard Business Class seat. The middle seats in Business are left unoccupied to allow for more space for Business Class passengers. 5 A None No Power Seat 5 A is a standard Business Class seat. The middle seats in Business are left unoccupied to allow for more space for Business Class passengers. 5 C None No Power Seat 5 C is a standard Business Class seat. The middle seats in Business are left unoccupied to allow for more space for Business Class passengers. 5 D None No Power Seat 5 D is a standard Business Class seat. The middle seats in Business are left unoccupied to allow for more space for Business Class passengers. 5 F None No Power Seat 5 F is a standard Business Class seat. The middle seats in Business are left unoccupied to allow for more space for Business Class passengers. 6 A None No Power Seat 6 A is a standard Business Class seat. The middle seats in Business are left unoccupied to allow for more space for Business Class passengers. 6 C None No Power Seat 6 C is a standard Business Class seat. The middle seats in Business are left unoccupied to allow for more space for Business Class passengers. 6 D None No Power Seat 6 D is a standard Business Class seat. The middle seats in Business are left unoccupied to allow for more space for Business Class passengers. 6 F None No Power Seat 6 F is a standard Business Class seat. The middle seats in Business are left unoccupied to allow for more space for Business Class passengers. 7 A None No Power Seat 7 A is a standard Business Class seat. The middle seats in Business are left unoccupied to allow for more space for Business Class passengers. 7 C None No Power Seat 7 C is a standard Business Class seat. The middle seats in Business are left unoccupied to allow for more space for Business Class passengers. 7 D None No Power Seat 7 D is a standard Business Class seat. The middle seats in Business are left unoccupied to allow for more space for Business Class passengers. 7 F None No Power Seat 7 F is a standard Business Class seat. The middle seats in Business are left unoccupied to allow for more space for Business Class passengers. 8 C None No Power Seat 8 C is a Business Class seat that may have limited recline due to the Exit Row behind. The middle seats in Business are left unoccupied to allow for more space for Business Class passengers. 8 D None No Power Seat 8 D is a Business Class seat that may have limited recline due to the Exit Row behind. The middle seats in Business are left unoccupied to allow for more space for Business Class passengers. 9 A None No Power Seat 9 A is a Business Class Exit Row seat that may have extra legroom. The middle seats in Business are left unoccupied to allow for more space for Business Class passengers. The tray table is in the armrest, making the armrest immovable and slightly reducing seat width. There may be no floor storage during take-off and landing. 9 C None No Power Seat 9 C is a Business Class Exit Row seat that may have extra legroom. The middle seats in Business are left unoccupied to allow for more space for Business Class passengers. The tray table is in the armrest, making the armrest immovable and slightly reducing seat width. There may be no floor storage during take-off and landing. 9 D None No Power Seat 9 D is a Business Class Exit Row seat that may have extra legroom. The middle seats in Business are left unoccupied to allow for more space for Business Class passengers. The tray table is in the armrest, making the armrest immovable and slightly reducing seat width. There may be no floor storage during take-off and landing. 9 F None No Power Seat 9 F is a Business Class Exit Row seat that may have extra legroom. The middle seats in Business are left unoccupied to allow for more space for Business Class passengers. The tray table is in the armrest, making the armrest immovable and slightly reducing seat width. There may be no floor storage during take-off and landing. Economy class offers an a la carte choice of food. This service is offered on all domestic, European and North Africa services except, due to their duration, flights to Athens, Bucarest, Istanbul, Tel Aviv, Cairo, Dakar, Malabo, Warsaw, and Moscow. Business class offers complimentary multi-course meals. The Business and Economy Class sections can be adjusted according to demand, and Business Class can have as little as no seats and as many as 56. In Business Class, the middle seat is always left unoccupied on all domestic flights, and flights to Europe, and North Africa. Indeed, seat pitch is great for this aircraft as there're only 200 seats (instead of 220 as in most companies) They also recline so comfort is 10/10 for me in this one! Bad or mediocre Seat because it is missing a window - same problem on 23A - no chance to look outside! The leg space was so big! 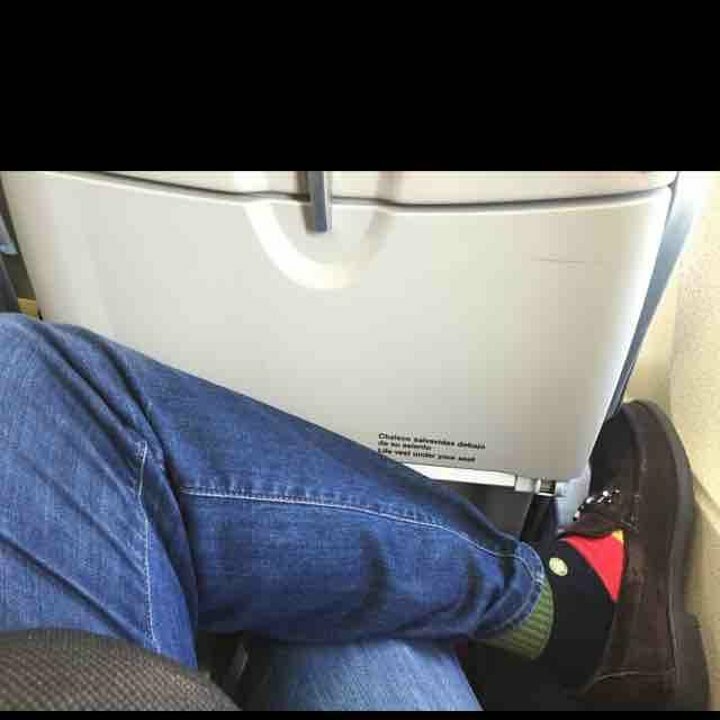 I have a problem with leg space everytime (I have 185 cm) and the flight here was great! 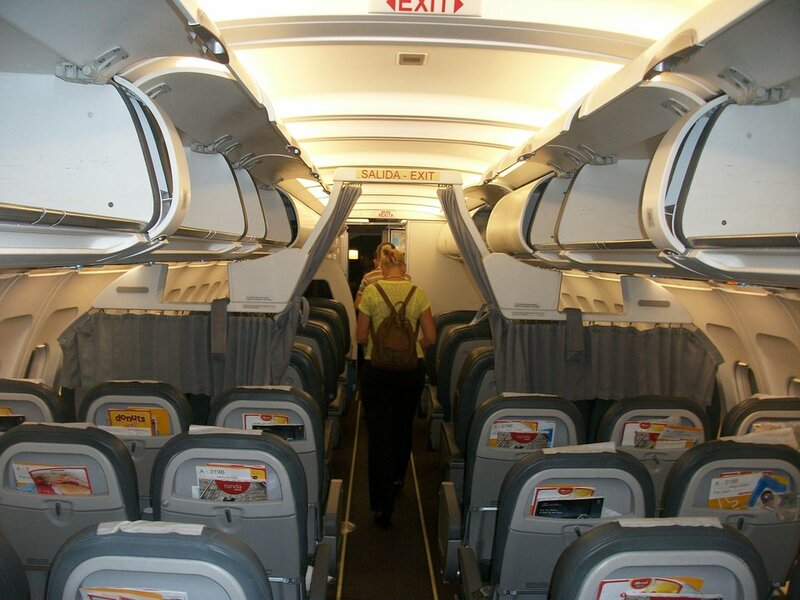 Iberia Express MAD-LPA, I am 180 cm and 73 kg, seat extrelemy cramped ! 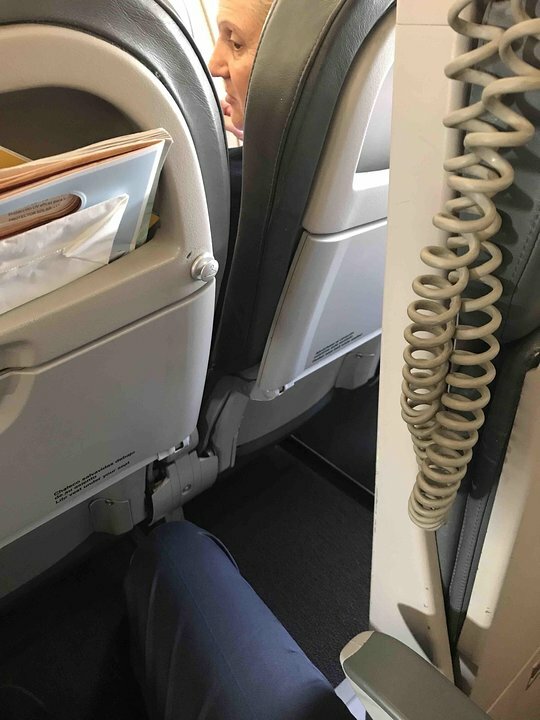 Touching with my knees seat in front, when seat reclined even less space, catastrophic for a 2.45h flight. Avoid. Seat 23A does have excellent legroom, however bear in mind it does not have a window. Same applies to 23F. Seats 9A and 9F have both extra legroom and a window. 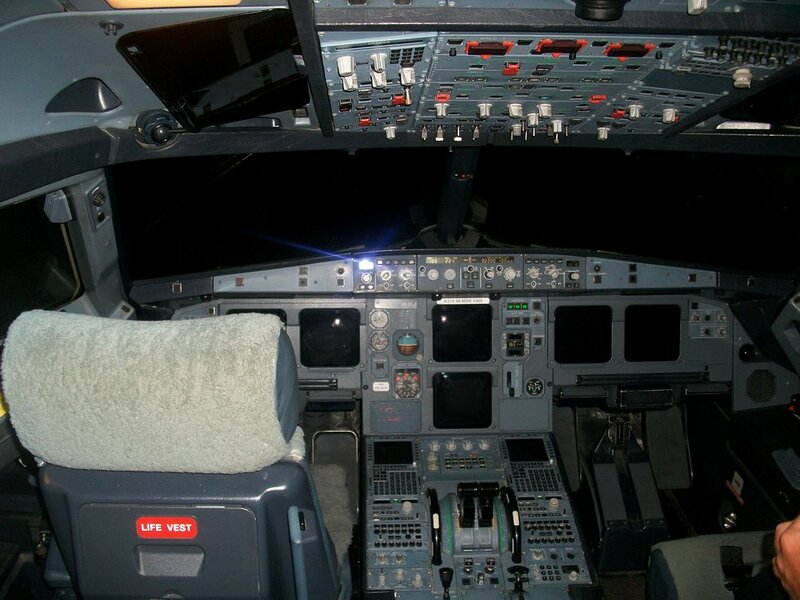 Iberia's A321 is plenty of leg room, it worth to choose a frequency operated by this plane instead of another one operated by a 320/319 in wich you have to squeeze. Whithout any doubt the most confortable narrow body aircraft I have flown in the last years. Try and book a seat in the first 14 rows of the aircraft - they have extra legroom due to technically being part of the business class cabin, although most flights only use the first 4-5 rows. There is a recess in the seat in front of you for knees. 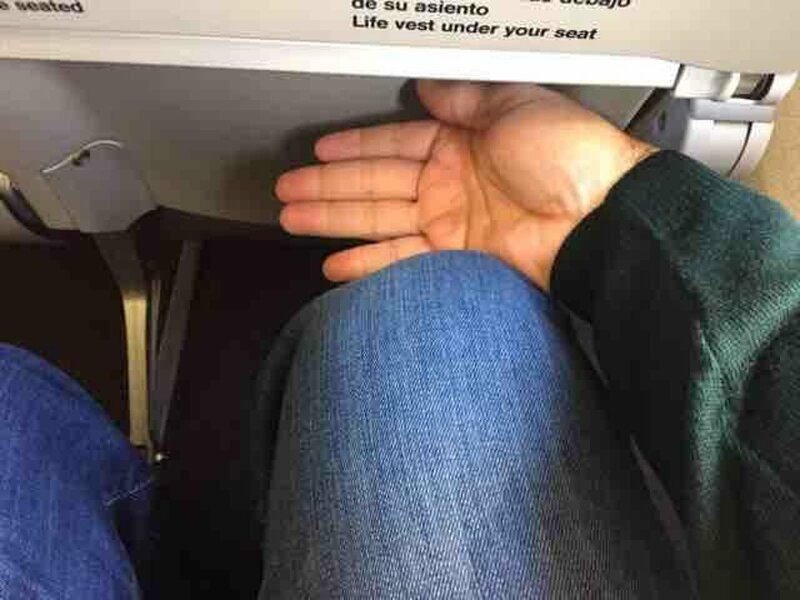 Even so, my knees were touching the seat in front of me. Hence very cramped. Even soft drinks are charged for. Iberia flies 1 versions of Airbus A321.